Here's a holiday appropriate vintage recipe revisited. This one was in my Maw-maw's recipe box written on a scrap piece of paper along with other recipes. Her recipe box is a treasure trove of deliciousness. Like so many sweet recipes, I sent them up to my ready-made taste testers - Engineer's office. Engineer's boss loved them. He loved them so much that he ate almost all of them by himself. 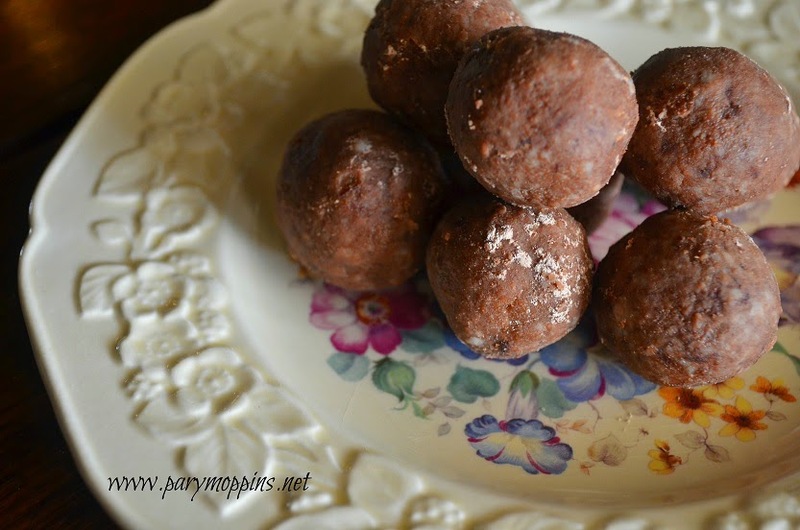 These rum balls are super easy but pretty potent, so they're not really for a tea-total crowd. Put the first five ingredients into the food processor and whizz up until finely ground and well mixed. Add the rum and keep it spinning until it is well combined. Stir together a few tablespoons of powdered sugar and cocoa powder in a bowl. With a melon baller, scoop out some dough and roll into a ball between your palms. Roll in the cocoa/sugar mixture and set aside. 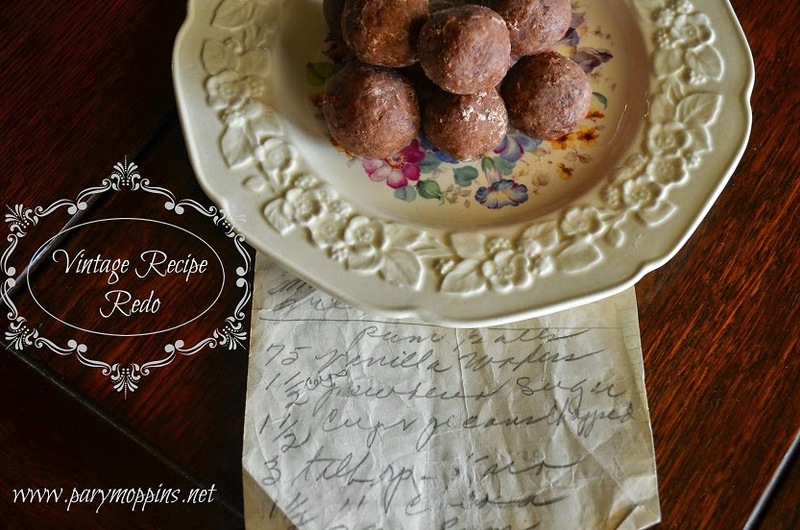 This recipe makes quite a few so it would be great for a holiday party or as part of a plate of homemade Christmas goodies. *I used dark rum but I think white rum would be fine. Next time I think I'll try spiced rum or coconut rum to add an extra layer of flavor. This recipe sounds really good for a party! It is excellent party food since you can make them ahead and the recipe makes a ton! We would really enjoy your Rum Balls. Thanks so much for sharing with Full Plate Thursday and have a very special Christmas week!